Having complete control over your vehicle and trailer is essential for any towing setup. CURT weight distribution hitches and sway control products are designed to give you a safer, smoother ride, providing the confidence to enjoy the journey from start to finish. The CURT TruTrack™ is an advanced weight distribution system that combines precise weight distribution with integrated sway control. It delivers superior control without the need to purchase separate sway control units. CURT offers several weight distribution options to give you the exact fit for your needs and lifestyle. 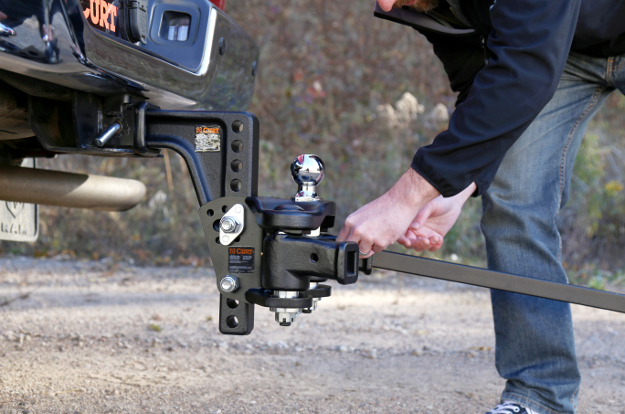 Our TruTrack™ WD hitch has a unique spring and cam system to provide weight distribution and sway control in one product. We also offer round bar hitches and trunnion bar hitches in various styles and weight capacities. 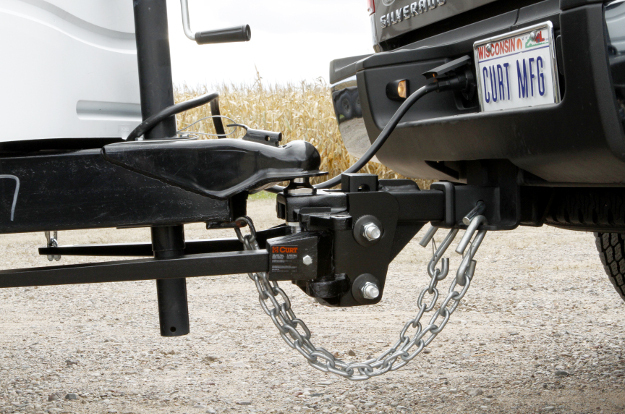 Most are available in a complete WD hitch kit with a sway control and trailer ball included. CURT has an extensive selection of replacement WD shanks, allowing you to adapt your weight distributing hitch for lifted vehicles, larger hitch receivers and more. 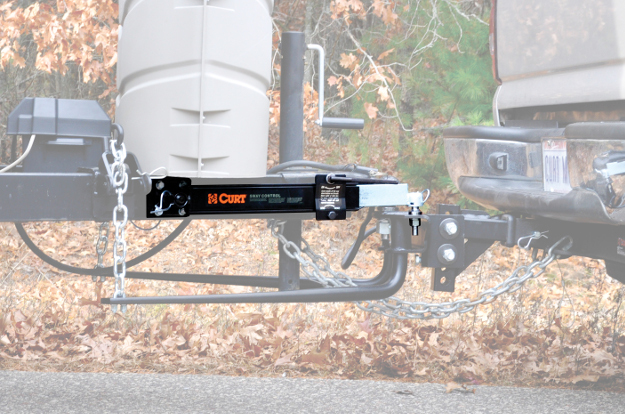 We offer deep drop shanks and 2-1/2" receiver options, and all are compatible with any CURT WD hitch. We also carry a number of replacement weight distribution components to replace damaged or missing parts if needed. Except for the TruTrack™, which has built-in sway control, most CURT weight distribution hitches are designed to be used in combination with a sway control unit to help reduce unwanted lateral movement in the trailer. The CURT sway control attaches to the WD hitch and the trailer and uses an abrasive pad to resist trailer sway. Two sway control units are recommended to maximize control, stability and safety.